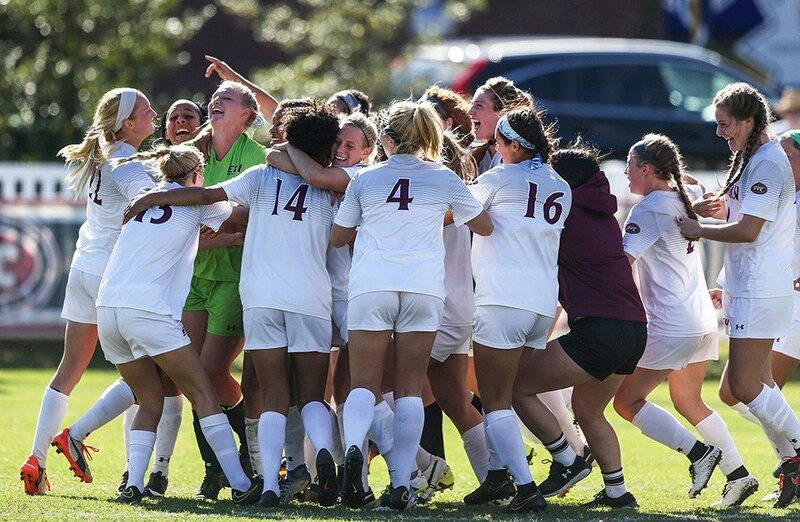 The Eastern Kentucky University Women’s Soccer Elite ID Camp is on June 17, . It invites all 14 to 18 years old girls who love playing soccer. The camp will start at 12:00 PM and end at 3:30 PM. It will be a great venue to assess every attendee’s playing ability. Also, it will be a great start for players who wish to play at the collegiate level. Surely, the camp will be a challenging but fun environment. It will develop both the technical and tactical skills of the players. The camp will also provide goalkeeper specific sessions. The university coaching staff and varsity players will handle the sessions and drills. Eastern Kentucky University is a public institution in Richmond, Kentucky. It is a comprehensive university with SACSCOC accreditation. Also, it is 79th in the Best Colleges is Regional Universities South, Edition. Currently, Eastern Kentucky University has around 14,300 undergraduate students. It has 15 varsity teams competing in the Ohio Valley Conference, NCAA Div I. They are known as the Colonels. The university’s official colors are Maroon and White. The Eastern Colonels women’s soccer team are 3rd in the latest conference ranking. They also have 3 players in the Conference Top 20. Finally, the team has already 5 OVC Tournament appearances. Eastern Kentucky University Women’s Soccer Elite ID Camp Organizers. The head coach of the Eastern Colonels women’s soccer team is Nick Flohre. is going to be his 2nd season in the head coaching role. He is a former Ohio State assistant coach which reached the 2015 NCAA Sweet 16. The Colonels’ assistant coaches are Josh Purdum and Rachael Doyle. Josh Purdum is a former goalkeepers coach at Drake University. During his stint with the Bulldogs, the team won the MVC regular season title. Rachael Doyle is a former member of the Australian U-20 Team which won the Asian Football Confederation Championship in 2007. The Eastern Kentucky University Women's Soccer Elite ID Camp is inviting all 14 to 18 years old girls who love playing soccer.